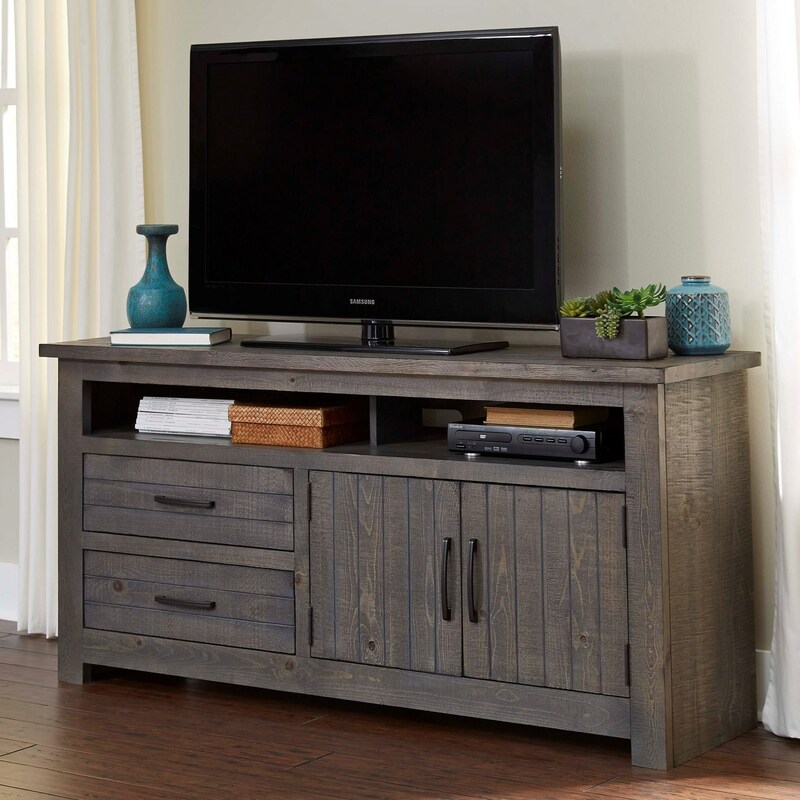 This stylish 64 inch TV console will be a perfect addition to the family room or entertainment room in your home. 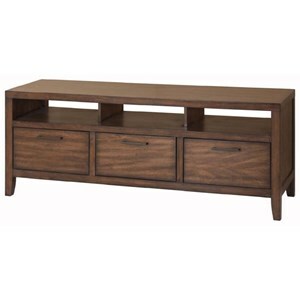 Linear grooves accenting the doors and drawers of the give character to this asymmetrically designed piece. 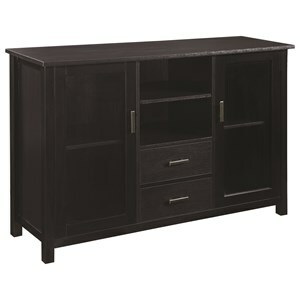 The solid wood TV console has a large open shelf perfect for storing media systems or gaming consoles. Two doors and two drawers provide a place to store accessories out of sight. 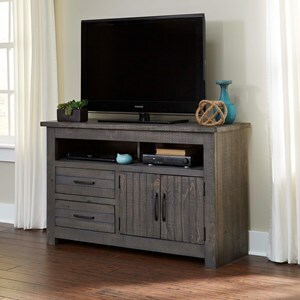 The Nest 64 Inch Console with Grooved Drawers and Doors by Progressive Furniture at Value City Furniture in the New Jersey, NJ, Staten Island, Hoboken area. Product availability may vary. Contact us for the most current availability on this product. 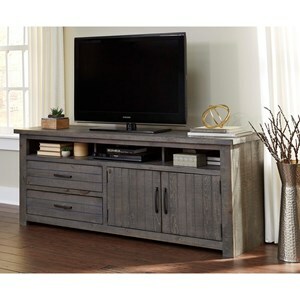 Browse other items in the Nest collection from Value City Furniture in the New Jersey, NJ, Staten Island, Hoboken area.